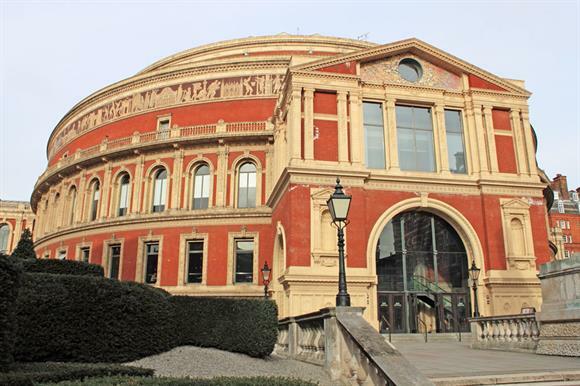 The Attorney General’s office has missed its own target for making a decision about referring the long-running conflict over the governance of the Royal Albert Hall to the charity tribunal. A spokeswoman for the office said in September that it expected to make a decision "by the end of autumn". But the Solicitor General, Robert Buckland, told the House of Commons last week that it was still considering further representations that had been sought from the hall and the Charity Commission, and a decision would come "in due course." He was responding to a question from Sharon Hodgson, the Labour MP for Washington and Sunderland West, who had asked the Attorney General, Geoffrey Cox QC, if he would support the commission’s request to refer the matter to the tribunal. References to the tribunal by the commission can be made only with his consent. "The Attorney General promised that he would make a decision on this matter by the end of the autumn," said Hodgson. "I am sure we are now in winter, so that decision is overdue. "The majority of the Royal Albert Hall’s ruling body owns a quarter of all the seats. "Those seats are valued at up to £25m, and they are allowed to sell tickets for the seats on the secondary market, making huge profits. Does the Attorney General not consider that a conflict of interest, and will he allow the Charity Commission to refer it to the tribunal?" Buckland responded that Hodgson, who is chair of the All-Party Parliamentary Group on Ticket Abuse, "has identified the core of the concern in this case". The hall has argued in its latest annual report that the sale of tickets by seat-holders is not a secondary sale but "the disposal of primary rights", even if the sale is made through a website better known for enabling secondary ticket sales. The commission has been trying for several years to persuade the hall to change its constitution, under which 19 of the 25 members on the ruling council are seat-holders. It wants seat-holders to become a minority on the ruling council, thus removing the risk it has identified that members might put their own interests above those of the charity in their decision-making. Because the hall has refused to comply, the commission first asked the Attorney General for consent to refer the case to the tribunal in September 2017. The Attorney General at the time, Jeremy Wright QC, gave his consent in January this year, but withdrew it when the hall threatened to seek a judicial review of his decision. The commission then reformulated the questions it wanted to put to the tribunal and submitted them again. The regulator has limited powers to enforce changes in charities, such as the hall, that have constitutions laid out in acts of parliament. Before it can impose a scheme for change it has to persuade a court that the charity should have applied for a scheme itself but has unreasonably refused to do so. Charity law also says that the Attorney General can refer a case to the tribunal about "the application of charity law to a specific state of affairs". - The story originally said Hodgson was a member of the Digital, Culture, Media and Sport select committee of MPs but this is not the case.